Alot of students are preparing for the unexpected POST JAMB exam which was said to have been scrapped. The bitter truth is that not all the students will be admitted into the university or polytechnics. But there are things you need to know that will give you more advantages over other competitors. Yeah, they are your competitors even your best friend is. For instance, let me take a particular product as an example like indomie, you know that indomie also have competitors in which you know that Dangote is part of. But have you ever thought of how indomie has been on top despite the strong competition, it is simple, they do more of advertisement, promo and other thing to keep their product relevant. That is the advantage i am talking about. I am sorry i deviated a bit but i am sure that it really help you understand what i was saying. 1. Why students do not gain admission. 2. Why students gain admission. Looking at the two outlines above, you will notice that they are opposite to each other. You need to know why people gain admission once and others have been trying for the past three years without gaining admission to any higher institutions. I think i am the right person to discus this topic to you because i have passed through this before, i mean i have been in a stage of not gaining admission and also in a stage of gaining admission. You see that i am the right person for this article/topic. 1. Within six years, you will study Pharmacy and complete your NYSC service (without strikes). 2. Within six years, you will complete your masters program and also complete your phD program. 3. Within six years, a baby would have started walking and speaking english fluently. 4. Within six year, a student will finish his Secondary School Education. Let me stop there, i hope you now see my point. What i am trying to pass across to you is that, if you are trying a particular method and it is not working, please and please, you need to try something new. Another reason is that student don't get the right information that will aid their admisson success. What kind of information do you think i am talking about, i am talking information like this one you are reading and other post of this blog. So if you are reading this post, then definitely you really want to pass your exams and get admitted. As they say, information is power, also if you don't get informed,you will be deformed. Another possible reason is that students don't get prepared for the required exams like JAMB and POST UME exam. This exams are what you need for any admission into Nigerian universities apart from other admission program like JUPEB, IJMB etc. 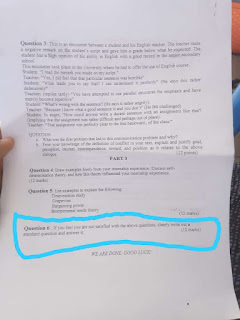 You should take your preparation for this exams very serious by reading your books according to the syllabus provided by JAMB, answering past JAMB questions and also attending tutorials. I have posted how to pass both JAMB and POST JAMB on my blog, you can read them after reading this post/article. Another possible reason is that students usually do mistakes when applying for the JAMB/POST UME. What do i mean by mistakes? Mistakes like spelling your name wrongly, giving the wrong data(s) about yourself etc. This mistakes have a way of affecting one's admission. Another possible reason is that most students are below the age requirement of the school. Most schools need students that are sixteen years old and above, though some schools still admit students below sixteen years old but to be on the safe side, it is better you are sixteen and above. Yeah, this one is very important to discuss. Have you ever come to think of it that why did Mr A got admitted despite have average mark in JAMB/ POST UME. Please i don't want you to think that connection is everything, No, students still gain admission without any connection. Take notice of those students that got admitted despite having average mark in JAMB, you will notice that they applied for a lower course which have low competition in the particular university, that is why i will always advise any one that if you put in for medicine and surgery, and you didn't get up to expectation, change your course to a lower one like biochemistry, microbiology etc. The truth is that you can cross from those course to medicine and surgery later in the future. Take notice of those students that gain admission, you will notice that they started their preparation very early. Imagine someone preparing to write JAMB exam and he/she started reading a week before the exam, don't let us decieve ourselves, such person won't pass the exam. Preparing early is the key to pass JAMB. When i was planning to sit for JAMB exam,i started my preparation three months before the date of the exam. Now tell the reason why i won't have gotten above 300 in JAMB. Take notice on students that got admitted, you will notice that they made no error in their JAMB application and they meet up with the age requirement of the school. 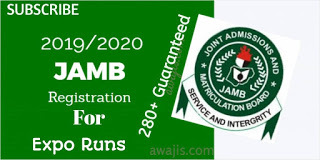 I want to use this medium to advise all students seeking admission into the higher institution, if you see that JAMB is not going through, you can try another method like IJMB, JUPEB, Pre-degree, Diploma etc. Though they may be cost but it is better than wasting your time at home for more than four years. And for those who are reading this article/post and you are yet preparing for JAMB exam, i will advise you not to see JAMB as a big thing, JAMB is simple but the fear people have for JAMB exam has been making them fail to get admitted into the university. As for those students that say that it is only university they want to attend, despite been admitted by polytechnics, i will advise you not to reject polytechnic admission offer, you can be attending polytechnic and be preparing for the upcoming JAMB exam. If you find this post/article helpful and useful, you can kindly do me a favour by sharing this post to your friends on social media by using the share icon below this post. Please, don't just read and go, drop comment concerning what you think about this topic, telling us your take on this topic. You can also check other topics in this blog, they will be of help to you. Remember, every admission success has a secret, this might one of them. 0 Response to "JAMB 2018-Secrets behind every admission success"